Cognates are invaluable phonics stepping stones. Cognates, such as CAR/coche, have the SAME FIRST LETTER in both English and Spanish. -- "Do these begin alike? : BOAT, BOXER" Immediate response! 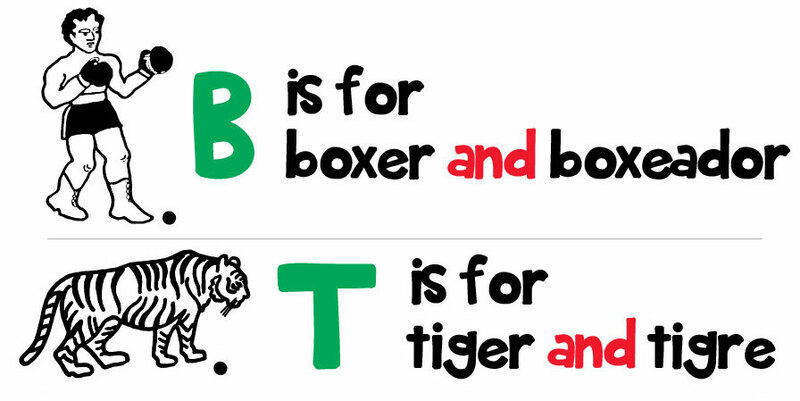 Beginning letter sounds are easy to recognize in Leisy’s PAN-AM STARTER KIT illustrations. • Instant recall • "Feel good setting"
Pedro / Peter • Keeps up with their peers.